Today, welcome back Stuft to Knightdale. They serve their famous gourmet stuffed potatoes. If you haven’t had them before, check out their website for their menu. What’s cool about the park is there is a lot of space, which you can have a food truck picnic or hang out under the pavilion (home to the town’s farmers market). Maple Bacon Bombs. As advertised, they are the bomb! 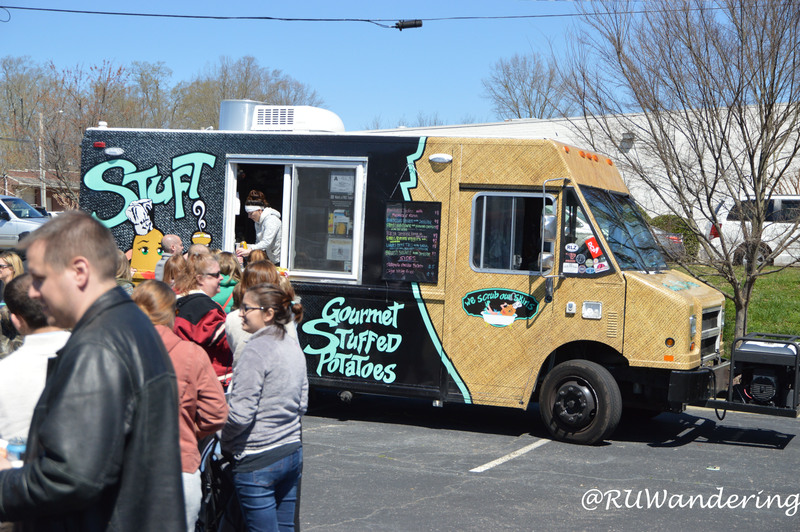 If you were curious of the other trucks scheduled (but you really should hit up Stuft today). The more popular this event is, the bigger an opportunity for more trucks (dessert anyone?) or other additions. Here is the remaining schedule are through June. Knightdale Station Park is located at 810 N. First Avenue in Knightdale.